Remember the scene at the end of Raiders of the Lost Ark when they’re storing the Ark of the Covenant? The camera pulls back and there is an endless array of shelving, boxes, and books… and you get the sense that they’ll never find the Ark again. In truth, libraries and archives have catalogs so things can be found. 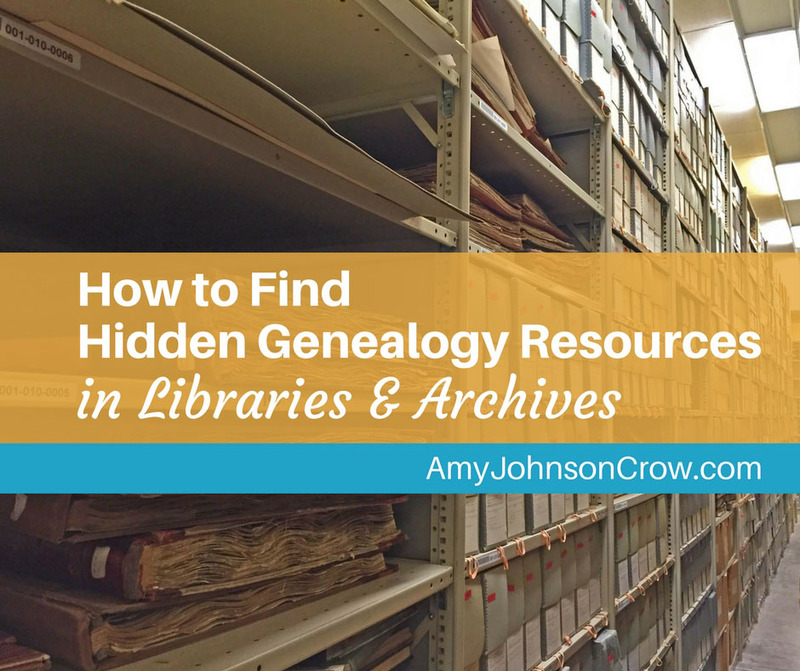 Knowing how to dig into an online catalog is one of the best skills you can have as a genealogist. 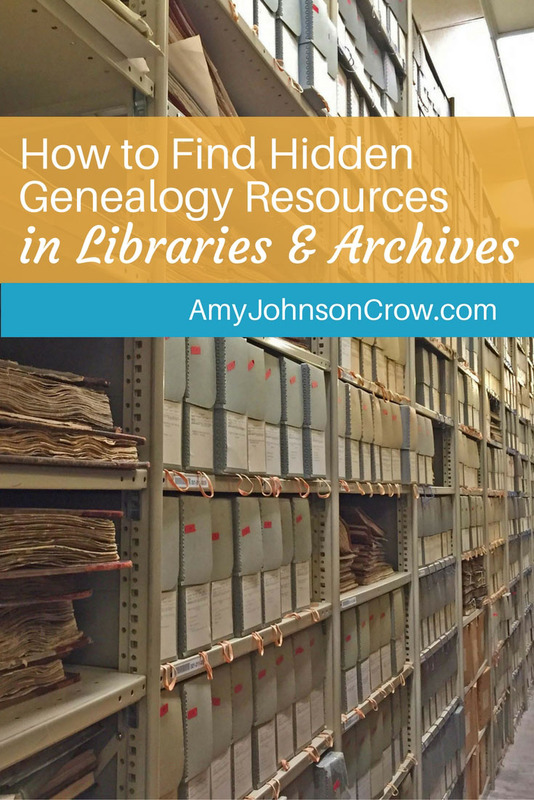 Here’s how you can use them to find genealogy resources, including ones that like to hide. When we get unrelated results in a Google search, we often add more words to qualify it. If we were looking for the band Kansas, we might change our search to Kansas band, Kansas music, or throw in the name of an album. Unfortunately, online catalogs don’t work quite the same way. Librarians and archivists get around the problem of words meaning multiple things by using “controlled vocabulary” in the catalog. The state of Kansas is referred to as Kansas, while the band is referred to as Kansas (Musical group). This is all well and good, but how do you know what phrase is being used in the catalog? Many (if not most) online catalogs give you an option of how you want to search it: keyword, title, author, or subject. Keyword tends to be the broadest search. It can result in unrelated items, but it can also give us a gateway to what we’re really looking for. Let’s say that you’ve discovered that one of your ancestors spent time in the Ohio Penitentiary for stealing his neighbor’s horse. 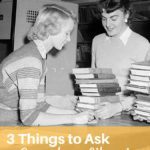 You’d like to get see what records are available, so you go to the Ohio History Connection’s online catalog. 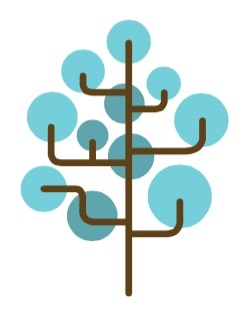 (The Ohio History Connection used to be called the Ohio Historical Society; they still serve as the state archive.) They have the standard search box, so you enter ohio penitentiary admissions. When we click on that title, we get the full catalog entry for it. We want to pay attention to the catalog number and the location so we can request it when we go to OHC. We can also use the entry to find more collections like this one. The list of subjects uses the archive’s controlled vocabulary. 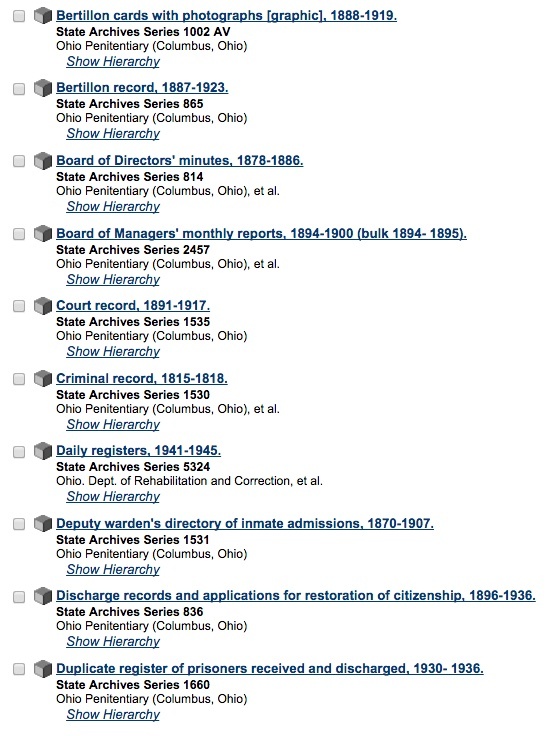 If you click on the magnifying glass next to “Ohio Penitentiary (Columbus, Ohio) – Records and correspondence,” you can get a list of all of OHC’s resources that fit that category. The first page of results show collections like the Bertillon photographs (think “mug shots”), registers of prisoners received and discharged, and applications for restoration of citizenship. 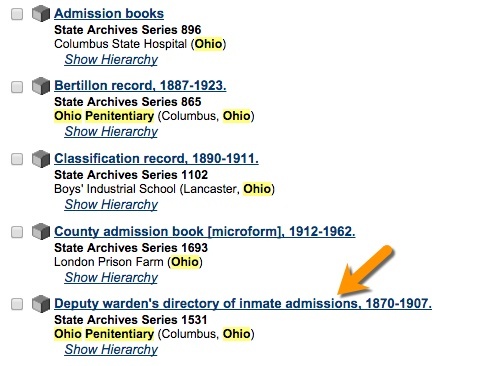 Although this example used the Ohio History Connection catalog, similar features exist in practically every online library and archive catalog. 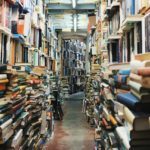 When you’re using an online catalog, use the controlled vocabulary to your advantage. 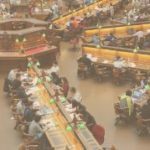 When you find something that’s similar to what you’re looking for, explore the subject headings to find more resources like it. Also, explore the author or creator of the work; you can turn up all sorts of little gems that you wouldn’t even have thought to look for. 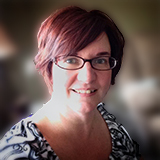 This entry was posted in tips and tricks, websites and tagged archives, catalogs, libraries by Amy Johnson Crow. Bookmark the permalink.